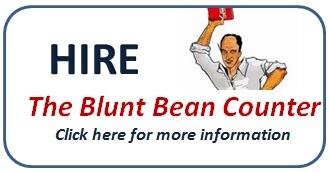 This summer I am posting the "best of" The Blunt Bean Counter blog while I work on my golf game. 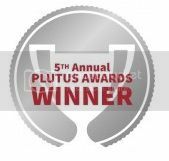 Today, I am re-posting a November, 2010 blog post on my trials and tribulations as a shareholder in Resverlogix, a small Canadian public bio-tech stock. [Note: I have edited the original post to reduce the length and updated the tale at the conclusion of the post]. 1. It is still an interesting story and my experience should still prove as a caution for your investing, even almost 4 years after my post was published. This post will recount the saga of my share ownership of Resverlogix Corp. (“RVX”), a TSX-listed company. This is a cautionary tale in investing and a very interesting story and it should not be construed as investment advice. If I had the inclination, there is enough gossip and innuendo surrounding this stock that I could spin this story into one that could be printed in the National Enquirer; however, it is my intent to be mostly matter of fact and reflect the investment element. The saga begins in the spring of 1996 when I was made aware of a bio-tech stock out of Calgary called Resverlogix Corp. (“RVX”). The company was working on a drug (RVX-208) to turn on Apolipoprotein A-1 (“ApoA-1”). ApoA-1 is the major protein component of high density lipoprotein (HDL). HDL is known as the “good cholesterol.” In extremely simplistic terms it is hoped that the protein will promote the removal of plaque from the arteries by reverse cholesterol transport (cholesterol is removed from the arteries and delivered to the liver for excretion). In early December 2006, Pfizer announced that its cholesterol drug Torcetrapib failed its clinical tests and Pfizer’s stock plummeted. If I had done more then dip my toes in RVX, I would be writing this blog post from the Turks and Caicos because after Pfizer’s failure, RVX was seen as a possible successor and fueled by rumours of a sale, RVX stock went from $5 to $30 within about ten weeks. Helping fuel the fun was a press release stating that RVX has hired UBS Securities as an investment banker to help with a “strategic alternatives.” Not a bad profit for a ten week time frame. What follows is the roller coaster ride from hell. The stock drops from $30 to $13 in two months as no deal emerges and by August of 2007 it is at $9. By the end of the October, 2008 stock market crash, RVX is down to $2.30. I blow most of my gains on the initial huge run by buying back shares as I think the price is a bargain. This story includes my ignorance. The dramatic stock drop was caused by RVX not receiving any public offers, Big Pharma’s reluctance to make purchases due to numerous drug failures and financing issues. What was extremely interesting to investors was that at the beginning of 2010, even though the stock price of RVX was only $2.40, the science had moved at a rapid pace and if Assure was successful, a “big if,” investors were hopeful a bidding war for RVX would ensue, with estimates in the range of $30-$60. Of course, if Assure failed, RVX would most likely fall to less then $1. The stock floated around the $2-$3 range until March 2010 when the stock took off up to $7.50, mostly propelled by an article by Ellen Gibson of Bloom berg stating “Resverlogix Corp., without a marketed product, may accomplish what Pfizer Inc., the world’s biggest drug maker, couldn’t: Creating a new medicine that fights heart disease by raising so-called good cholesterol.” There was some additional publicity that followed and the stock jumped around in the $5 to $8 range. At this point I sold a portion of my stock and bought call options. The options provided me high leverage but could expire worthless, but most importantly, the options allowed me to remove a significant amount of my cash investment, while retaining potential upside to the stock. At RVX’s Annual General Meeting in early September, which I did not attend, the trial’s principal investigator Dr. Stephen Nicholls of the Cleveland Clinic spoke, and while he could not speak about Assert results, those there blogged about his appearance and said that his apparent enthusiasm for RVX 208 bode well for the AHA presentation. After the AGM, the stock rose from the high two's into the mid-fours over the next several weeks as attention was directed towards the November 17th AHA presentation. Following the presentation, RVX’s stock slid to $2.73. It then slid Thursday to $2.14 before rebounding on the Friday to $2.34 to $2 when this blog was (initially) posted. All in all, there was mass confusion and huge paper or actual stock losses for RVX shareholders. I probably will now need RVX-208 to combat the heart attack symptoms this experience caused. You are probably thinking “Why the heck did Mark not sell the day before the AHA?” In retrospect, that would have been prudent, however, I had decided I was going for a home run and would accept a strike out. In the bloody aftermath, more detailed analysis of RVX-208 and Merck’s Anacetrapib were reported. The analysis ranged from optimism for Anacetrapib (MedPage Today, quoted Elliott Antman, MD, professor of medicine at Harvard Medical School (a very well respected researcher according to a doctor friend of mine) as saying "The important thing that we saw here with RVX-208 was the dose response. That means that something is happening with the drug. I think that the dose response trumps P-values.") to comments that the HDL levels were out of line and may never achieve clinical success. 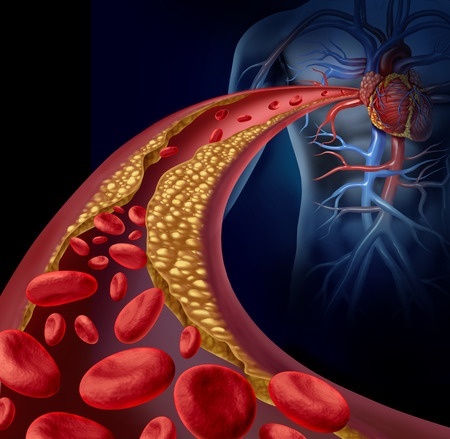 In 2013, RVX came back to life as it undertook its ASSURE Phase 2b clinical trial that evaluated RVX-208 in high-risk cardiovascular patients with low HDL. The company in early June spun-out RVX Therapeutics Inc.(a unit of RVX containing an epigenetics-based BETi drug discovery platform) to Zenith Epigenetics Corp. so that shareholders of RVX now owned one new common share of RVX and one common share of Zenith. As part of the spin-out, Zenith is entitled to a tiered royalty of 6-12% of revenue derived from RVX-208. Investors liked this transaction as if RVX did well Zenith shareholders would benefit to a lesser degree and they also had a separate platform of drugs. I received Zenith shares and still have them, as they are not publicly trade-able and I look at them as a lottery ticket. Unfortunately, in June 2013, RVX announced the Assure trial did not meet its primary endpoint and the stock which had risen from the dead to as high as $4, again crashed down to around 23 cents. In September 2014, the company announced that Post hoc analysis of data from the two Phase 2 clinical trials with RVX-208 showed a reduction in Major Adverse Cardiovascular Events (Mace) in patients with cardiovascular disease and a 77% reduction of MACE in patients with diabetes mellitus. This news gave the stock new life and together with an April, 2015 announcement of a licensing agreement with an Asian company Shenzhen Hepalink Pharmaceutical Co., Ltd., the stock which seems to have nine lives, has awoken again and rose to a high of $3.14 in April. The stock has now settled back to $1.82 as of Friday as investors now wait in anticipation of a PHASE 3 trial that is scheduled to start in the fall of 2015. This saga is now coming upon ten years for me as I still have some shares kicking around and the spin-off Zenith shares. Who knows, maybe the Phase 3 trial will finally cause a buy-out of RVX or maybe the stock is on its ninth life and the saga will finally come to a conclusion. Disclaimer: This post is a cautionary investment tale. It is not meant in any manner, as an endorsement of RVX as a stock purchase. At least you've kept a sense of humour about throwing good money after bad :). I 'invested' $500 on an internet grocery store back in the 90's. Because unlike the risks you took in pharma, online grocery shopping is/was certain to take off. Except of course the stock dwindled until it was disappeared. Thankfully it only cost me $500 to learn my lesson. Picking stocks is like gambling. Pretty much everyone loses, and pretty much everyone will still tell you how big they're winning. Not sure I concur. Playing biotech stocks is educated gambling, I agree. The general market, not really in my opinion if you buy good quality stocks/ETFs and hold them. yes, I meant individual stocks. Investing in a specific company is gambling. Investing in the entire market through indexes or ETF's is actually investing. great story... now I know what happened to my money.